Something I’ve learned about myself in this long and never-ending house renovation is that I’m not averse to a bit of luxury. Well ok, probably not luxury compared to a seven-star hotel but we have been known to save up and spend more on items for our home if we’ve felt it’s worth doing. More often than not shortcuts just aren’t worth taking and we’re busy undoing all the mess left us by previous owners who were too lazy to repair the house properly. 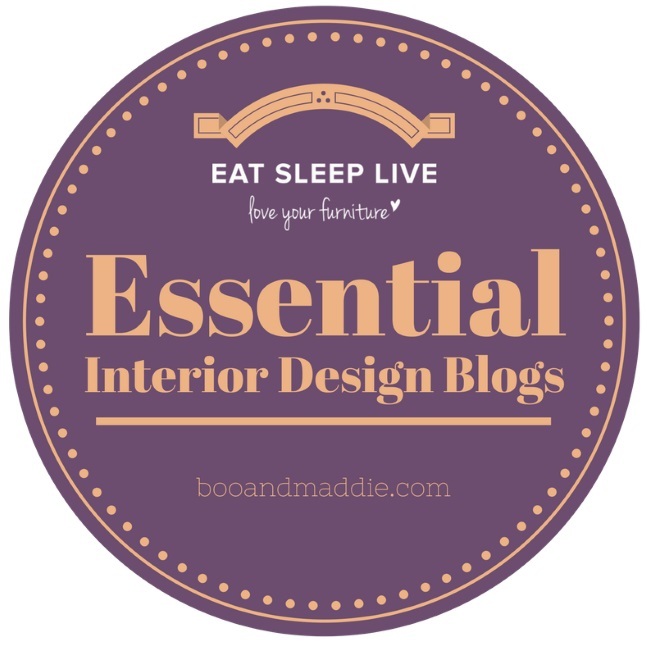 Still on our list of future projects is an overhaul of our main bathroom and en-suite and even though neither of them will happen any time soon, you can never do enough research. It was with this in mind that I set off for the press opening of the new Bagnodesign bathroom showroom on the Kings Road in Chelsea last week. The location is certainly perfect for a high-end showroom but I was curious to see if the end result would live up to its iconic whereabouts. BAGNODESIGN provides a service to architects and interior designers working on hospitality projects both in the UK and internationally. Soon located in Chelsea, the heart of the Capital’s interior design hub, the BAGNODESIGN Kings Road showroom will offer a welcoming, inspirational environment with a range of valuable facilities for project professionals. 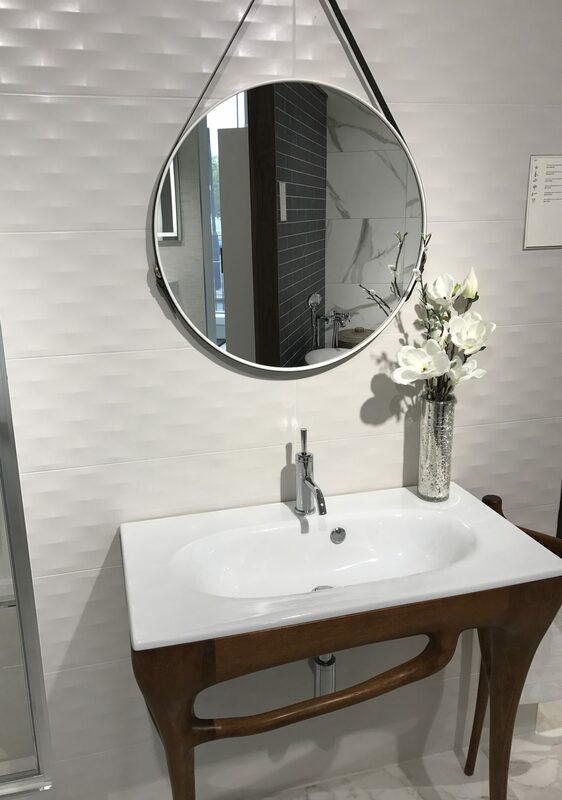 From work stations and meeting tables, to video conferencing faciltiies, refreshments and free wifi access, the BAGNODESIGN Chelsea A&D Centre is much more than a regular bathroom showroom. 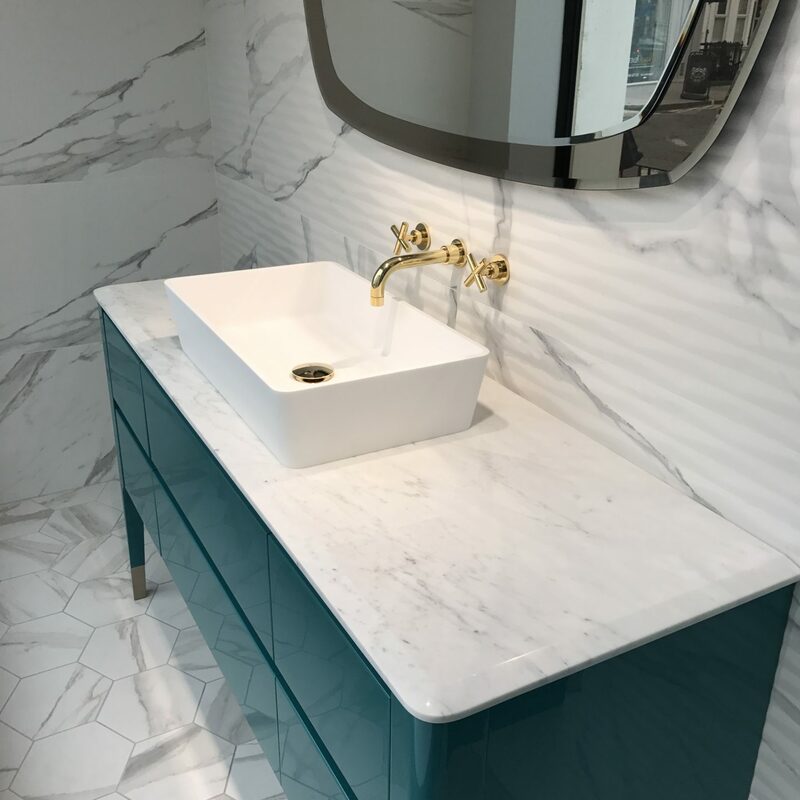 The ideal spot to meet with clients and fellow professionals, visitors to BAGNODESIGN Chelsea will also be surrounded by the very latest ideas in bathrooms, with a wide array of beautiful, luxurious products which encompass every area of the room’s design on display. 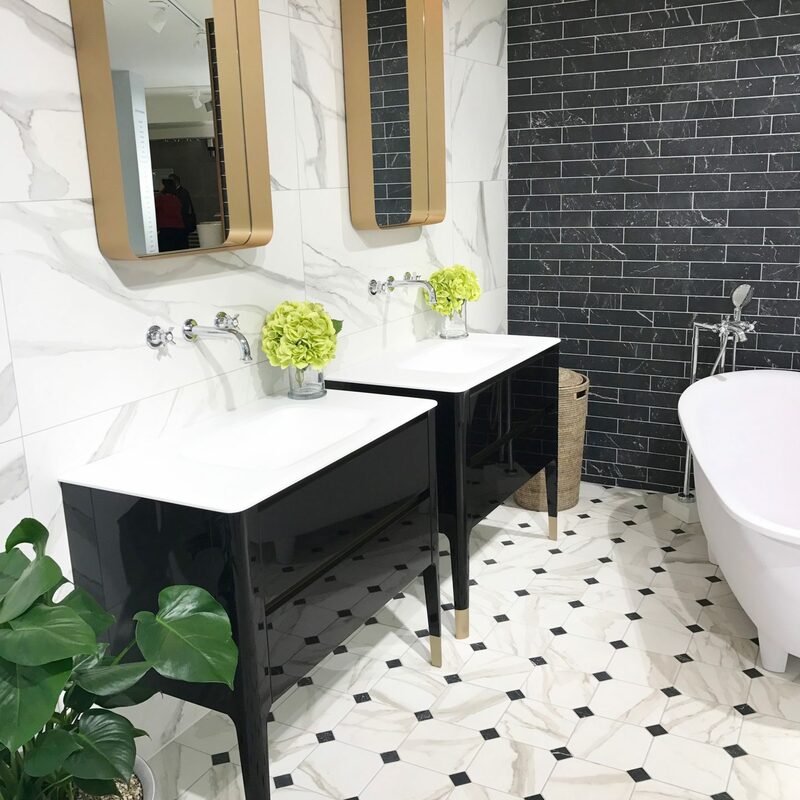 Separated across two levels, the showroom demonstrates their full collection from monochrome to marble, freestanding vanity units to designer showers. 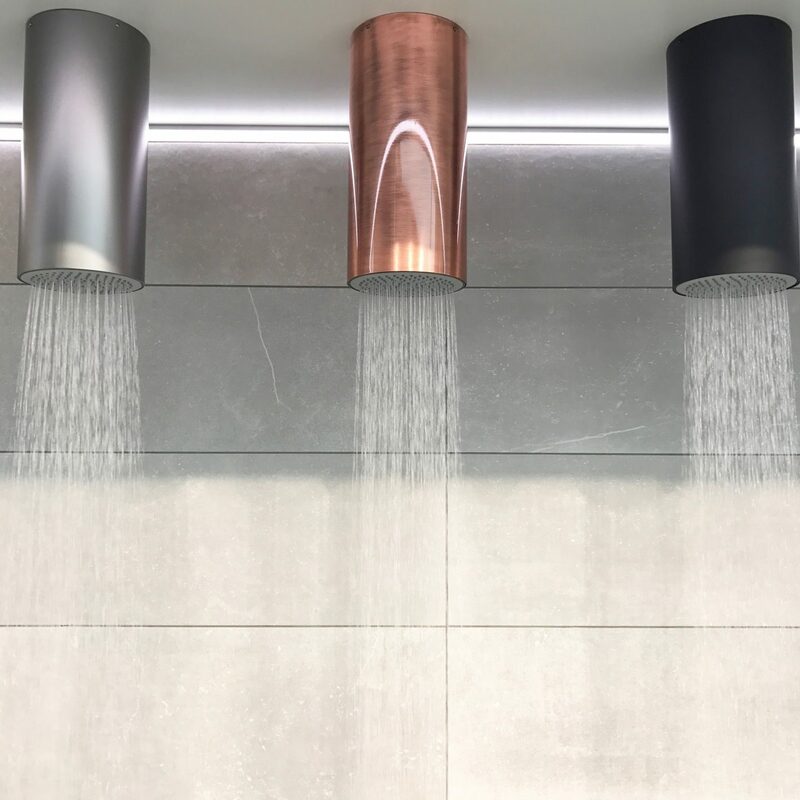 As part of the window display there is the most stunning copper bath and the stunning Options Cylinder shower heads which are such a game changer for me. I’ve never seen anything like them before and as the water cascaded out I felt like I could watch them forever. The cheapest finish on these is Chrome at £380 incl. VAT up to Gold and Anthracite at £1,060 incl. VAT. My beloved brushed copper doesn’t come particularly cheap at £925 incl. VAT but worth every penny in my opinion! Whether you like minimal modern or something more traditional, Bagnodesign offer collections to suit all tastes and cater for everything from tiles to towel rails. 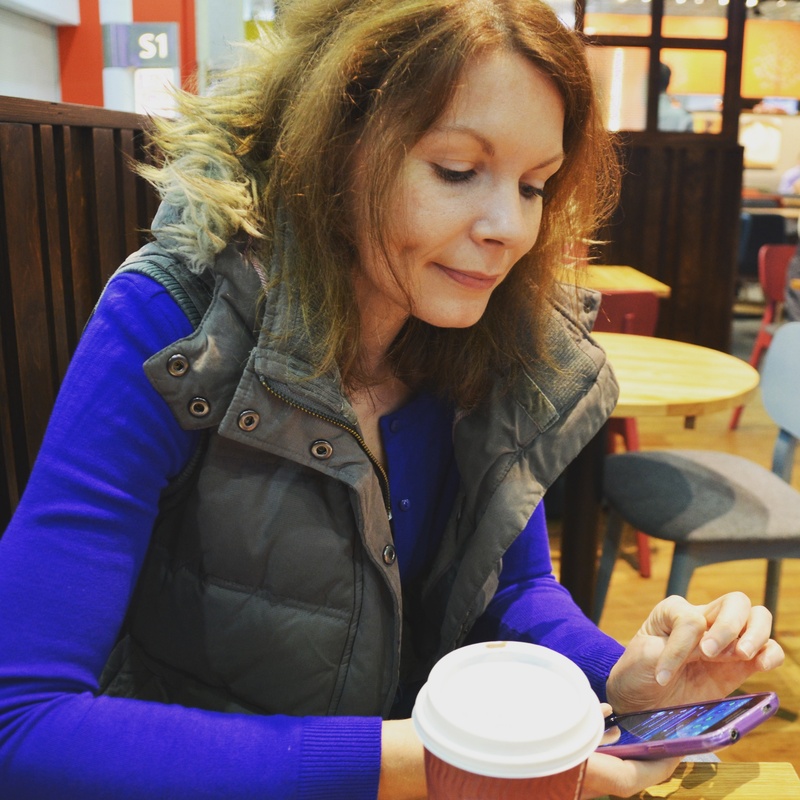 And having started life in Dubai you know that even the most discerning customer or client would be able to find everything to their exacting taste. Here are some pictures I managed to snap from the evening to give you an idea. 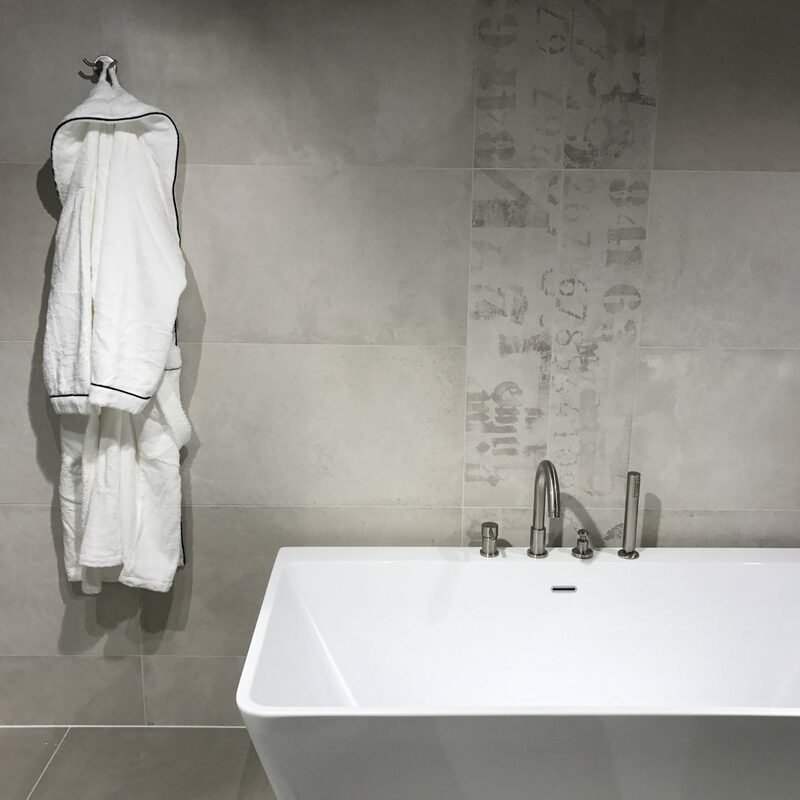 Whether you like minimal modern or something more traditional, Bagnodesign offer collections to suit all tastes and cater for everything from tiles to towel rails. New bathroom anyone? 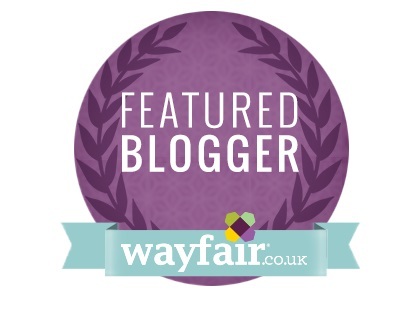 Wowsers, it’s all so stunning! I fear our bathroom makeover (whenever that happens, ha!) won’t quite have the budget for these lovely pieces, but imagining I come into a pot of dinero I would take the gold shower head and the entirety of that teal unit with the top mounted sink and gold taps. Love love love it. Some incredible fittings here. 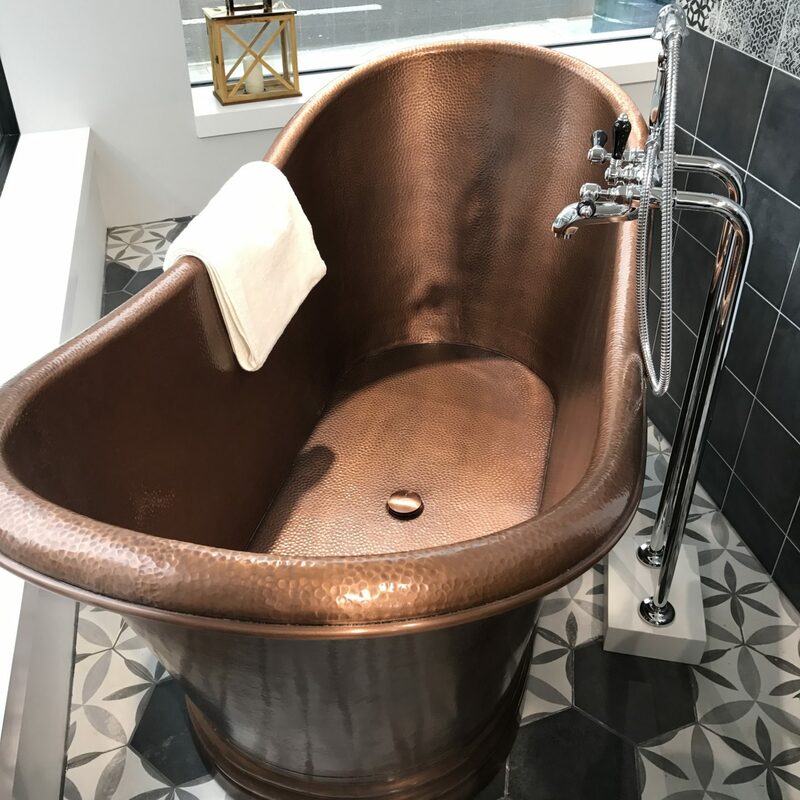 I think it’s always important to have a statement piece in a bathroom – for instance, if the big copper tub was in the middle, I would resist many other copper furnishings; especially since bathrooms arguable are the quickest room in a house to date and look old and faded. Similarly, they can be the standout room for a buyer, so worth an investment like Bagnodesign. Last year I did a lot of copywriting work for a high end bathroom company and one of my fave brands was Bagno! Those showers at the top of the post are amazing! Gorgeous and I adore stylish bathrooms – make the house feel really luxurious! Thanks for hosting and being a superb co-host.